People diagnosed with a mental illness often have other health-related issues that impact their lives and affect their treatment. This can include chronic medical conditions, substance use disorders and barriers to health and wellness. 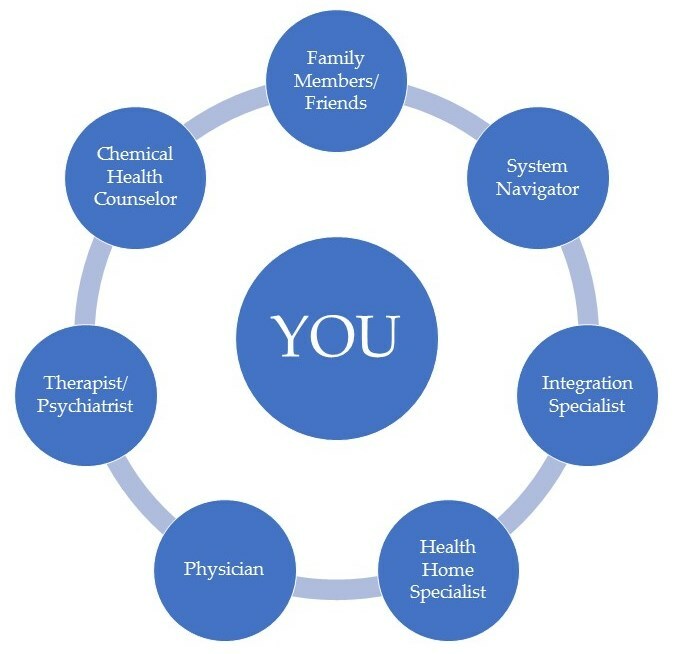 We understand that health care visits can be confusing and many people who visit a lot of providers can feel lost in the system.Through our new behavioral health home program, a care team works together with you to better manage your mental and physical health. This group teams with you, your health care providers and, as necessary, other community resources to coordinate care for your various conditions. It is a team approach. A system navigator and other members of the team work with you to help coordinate all aspects of your care. It is a whole-person approach. You and your team work together to establish and help you reach your mental and physical health goals. It is integrated. Your behavioral health home team works with your primary care provider, either at Zumbro Valley Health Center or in the community, as well as other providers to help you improve your overall health. It includes consumer and family supports and education. You can get information when you need it and have staff help you understand what it means to you.